The warm sun feels so good!!! Thanks for your views, comments & critiques, much appreciated! Beautiful turtle, such prominent colour pattern !! Nice to see it sunning thus ! Terrific shot of the somewhat camouflaged turtle! Stretching for the sun! I like this photo a lot! 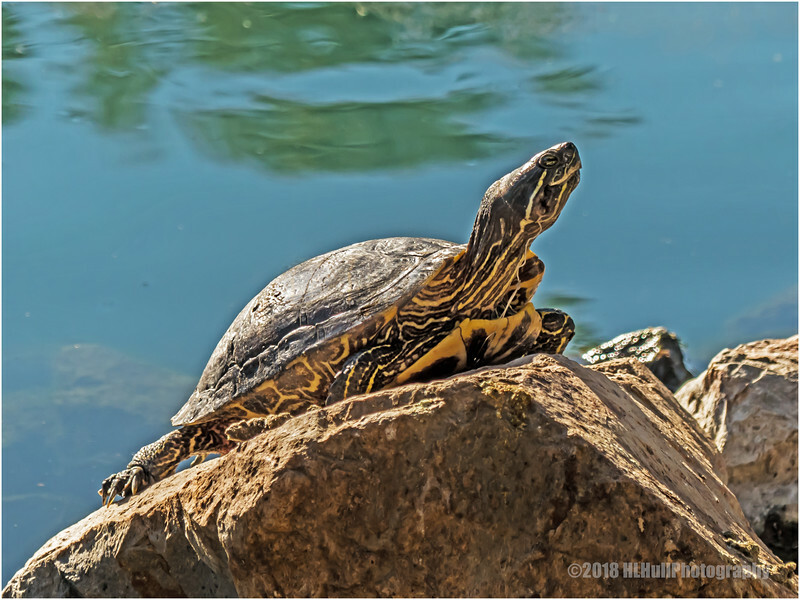 Nice to get a front view of this lake turtle--so often they jump into the water when I get near. Wonderful shot! This is how I feel in the sun!